It's been a while since I last posted but I've been on vacation up in Bar Harbor Maine for the 4th of July week. 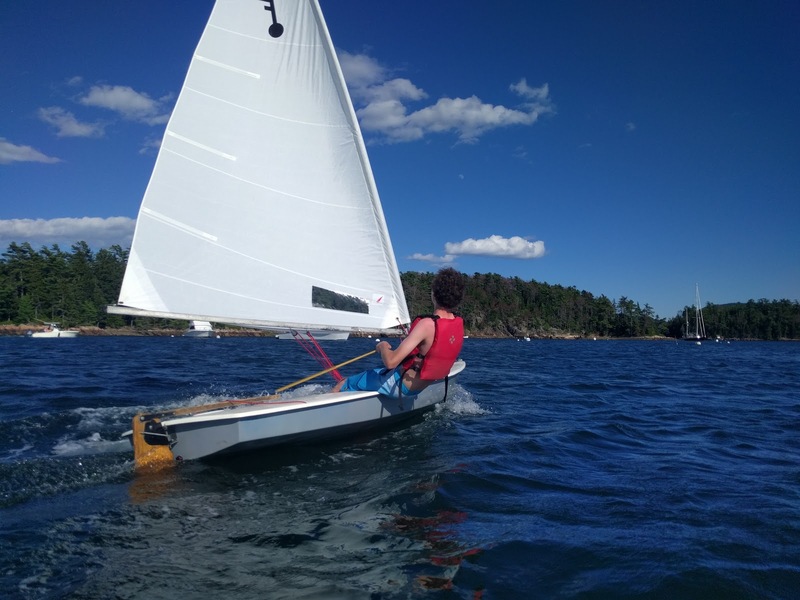 Obviously no boat work was done that week, but we did get a bunch of sailing time with the craigslist Force 5 I found last summer and was the inaugural post for this blog (Click Here). I did manage to sneak in a bit of work though before we left and this week as well, so all was not lost. 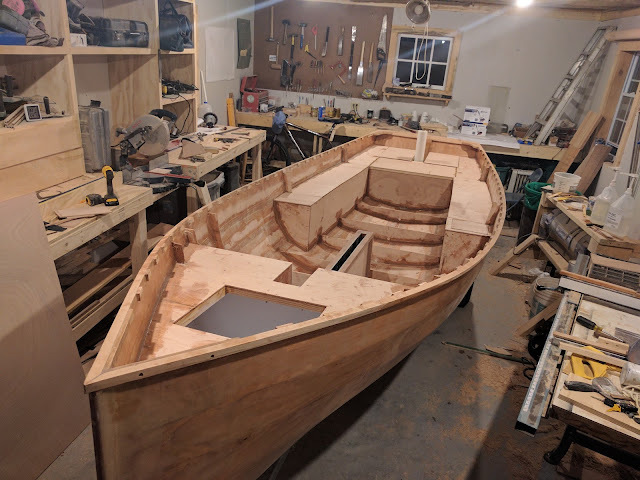 I'm still making good progress, but each step is taking a bit longer now because there are a bunch of small pieces that need to be glued to the boat in a very specific order and it just takes time. When I last checked in I had just purchased a new trailer and was working my way aft building out the seat tanks and aft compartment. I won't go into too much detail because honestly, it just took a ton of time to figure out all the cuts, angles and general layout when not working from a plan. 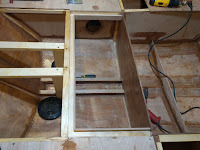 The side seat tanks run aft of the daggerboard trunk to the sterb and will be watertight in case of capsize I will have several deck plates installed in them, but so far I have only installed the 4" aft plates that will be accessible from the aft compartment just forward of the mizzen. 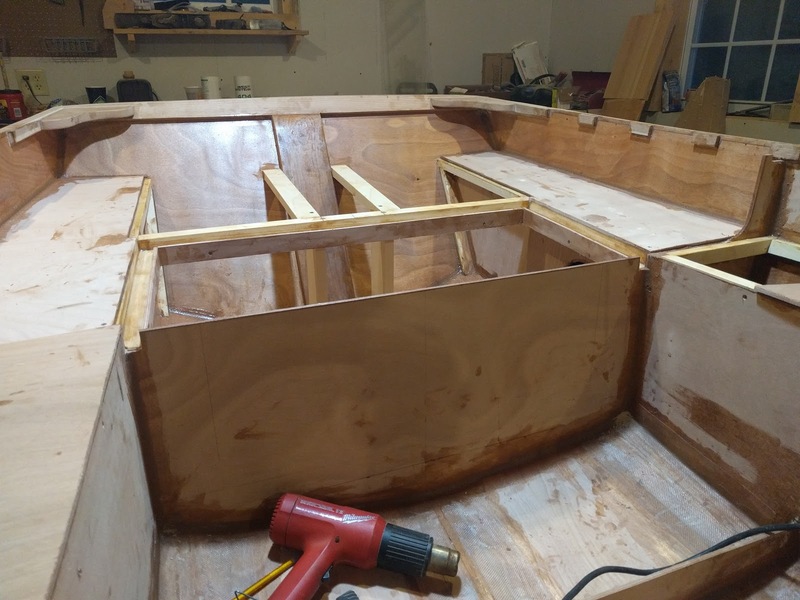 I also spent some time designing the mizzen mount and glassed in the 25 x 50 mm stringers that will run from the stern to the 1st bulkhead. 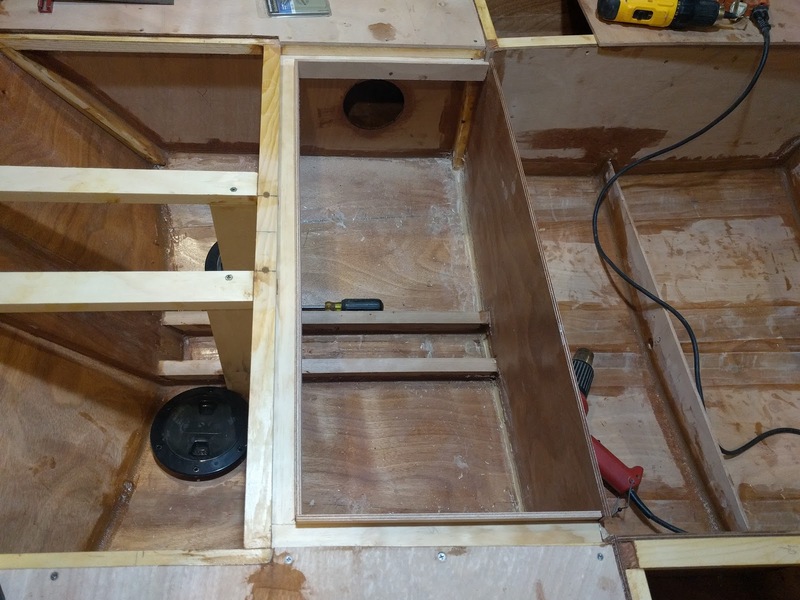 These will provide a channel to drain water from the mizzen mast to the bilge. I've selected a piece of 3" pvc pipe to be the tube for the mizzen mast step that should keep water out of the aft compartment. 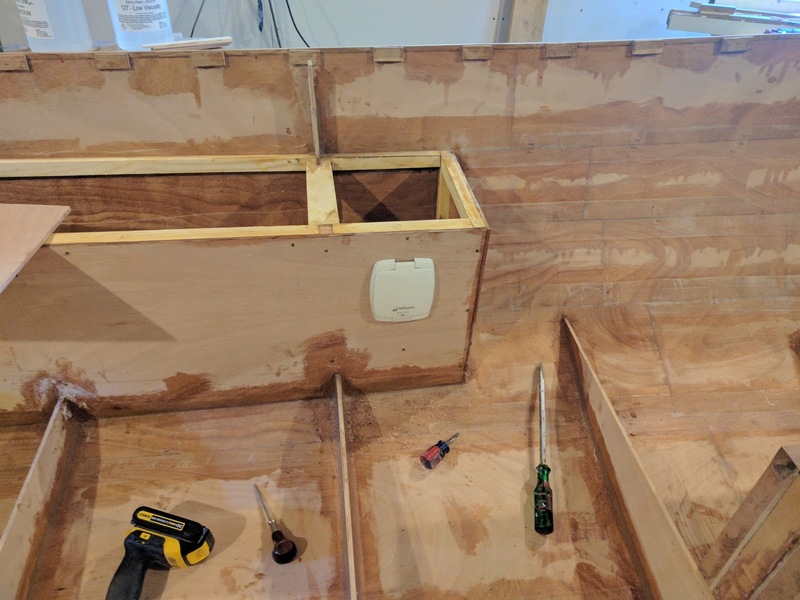 For the aft compartment I built a channel around the perimeter and glassed sides onto the compartment lid that will fit into the channel to keep the water out (hopefully). This took quite a while and lots of sitting and thinking to make sure I got it right. Finally, I purchased a Whale Gusher Compact 50 for the bilge pump and cut out the mounting hole in the forward part of the port seat tank. 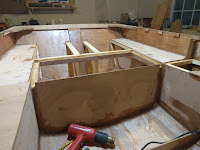 I think this will be a decent location because it will allow me to pump the bilge while seated with the tiller in hand. I'm not fully committed yet, but right now I'm leaning toward mounting the discharge in the stern adjacent to the rudder (obviously above the waterline). 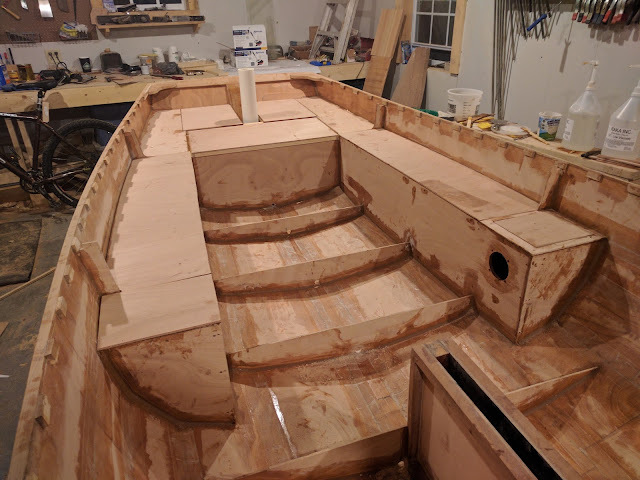 By the end of this upcoming weekend, I hope to finalize the mizzen step and get the tube installed at the 6 degree angle specified in the plans with the corresponding partners. 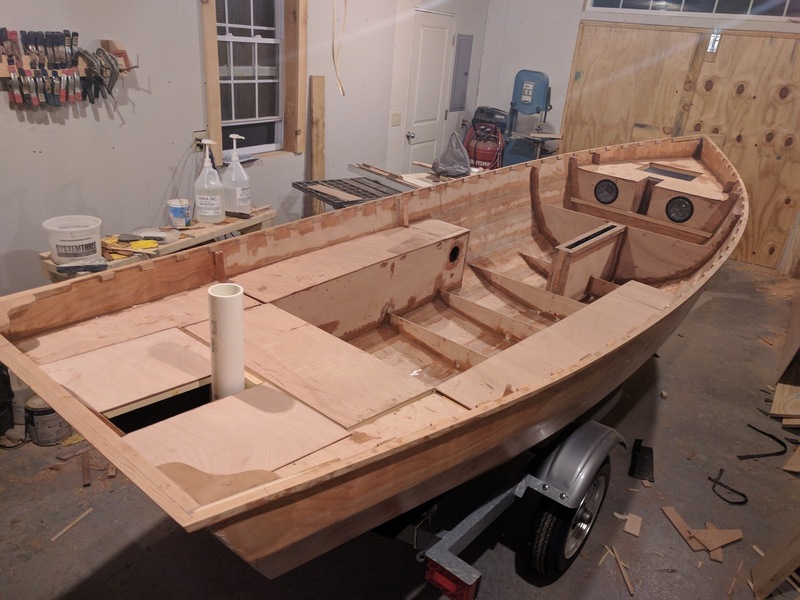 We'll see, but I don't think it should be too hard, I'm pretty sure I figured out the plan tonight while sitting and staring at the boat. Aside from that I have to glass in 'stringers' to the plywood frames to provide some material for the floorboards to screw into.